Explore Love Eat: G: Cake Smash! 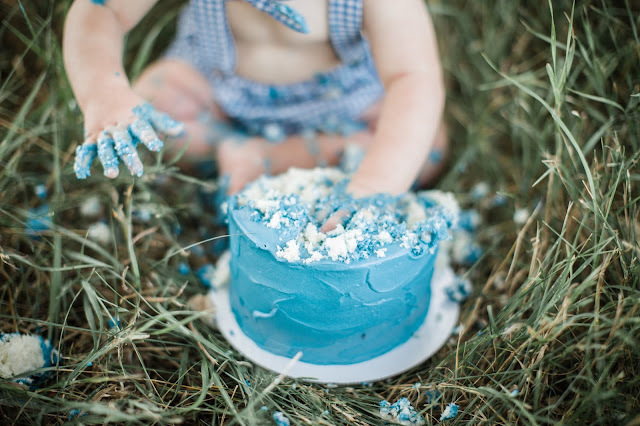 Cake smashing. 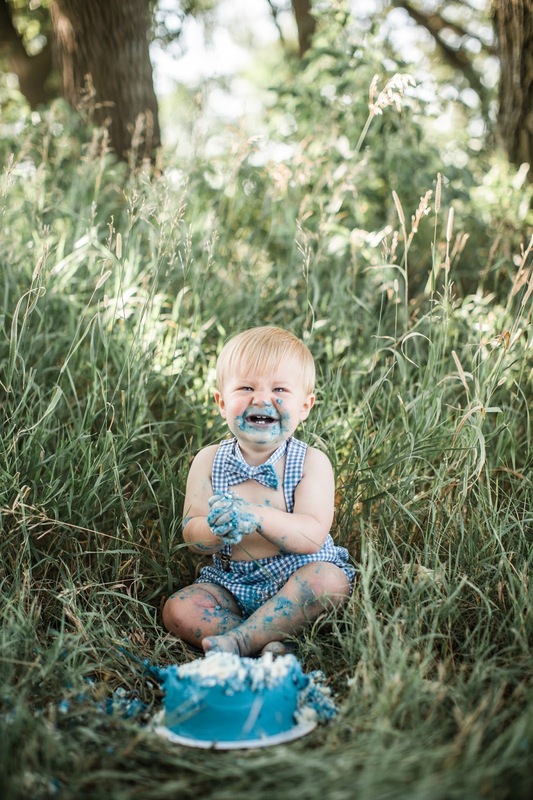 One of the trends of our time to be sure, but oh.so.much.fun.! 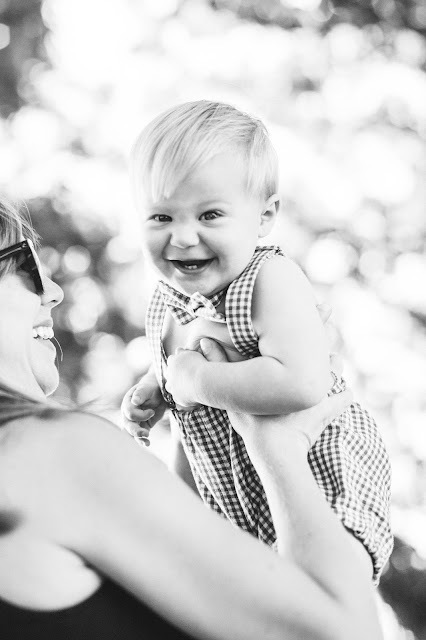 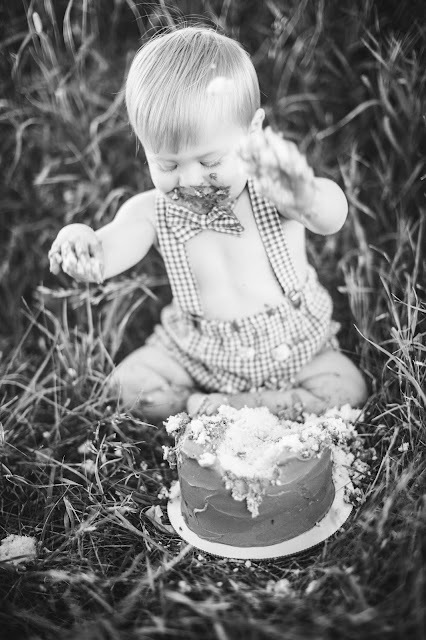 G enjoyed smashing the cake at his first birthday party so much, that I had no doubt that he would love a little repeat action for his official one year photoshoot. 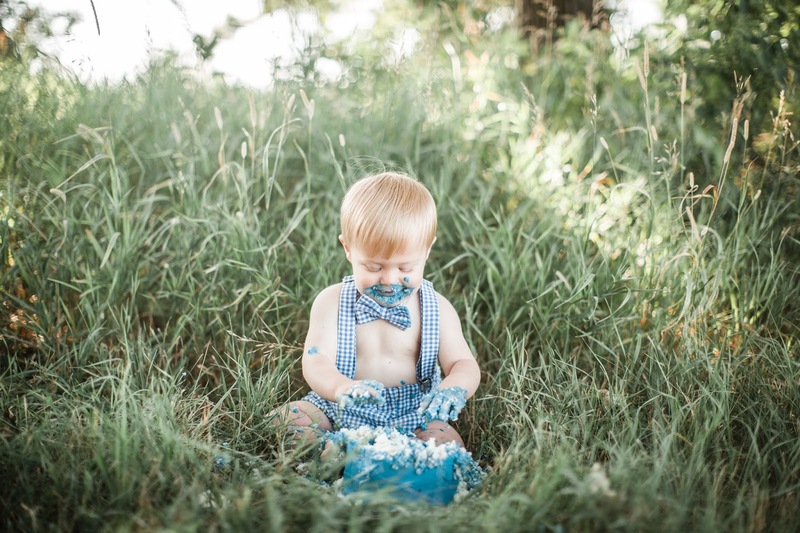 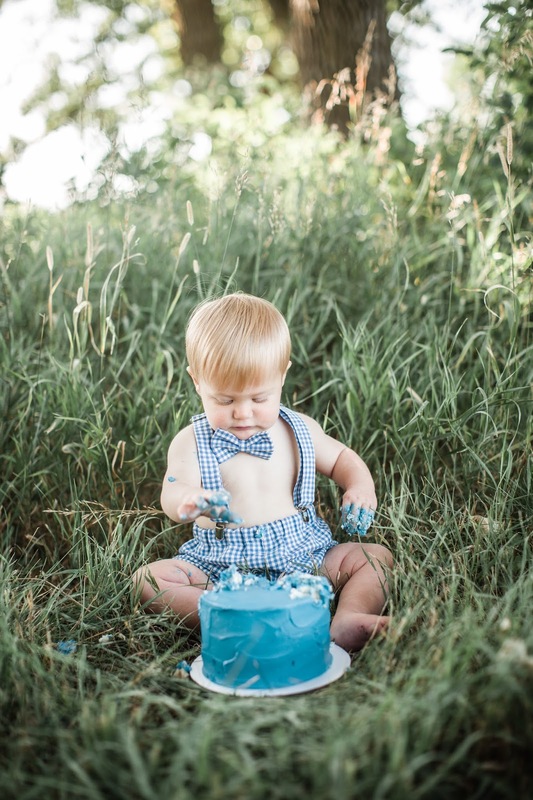 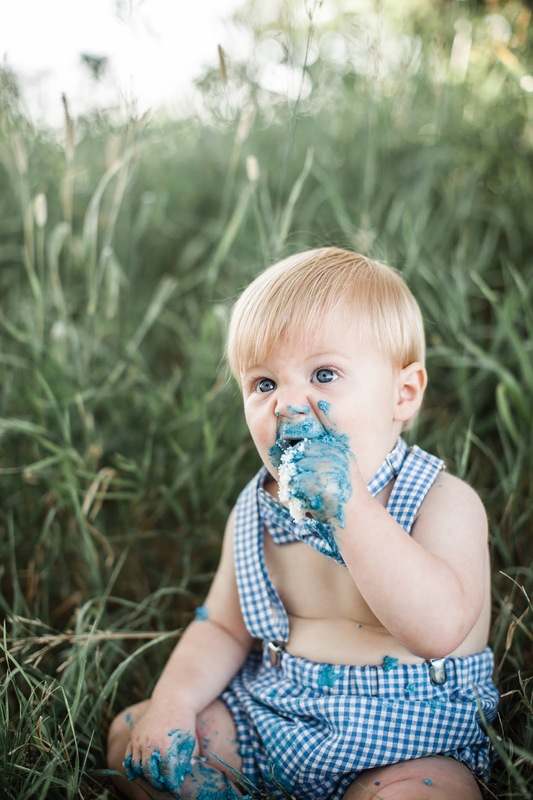 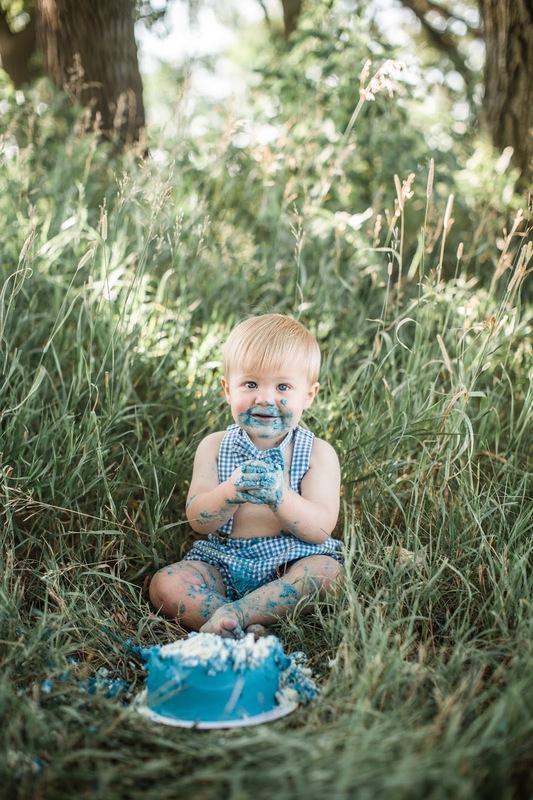 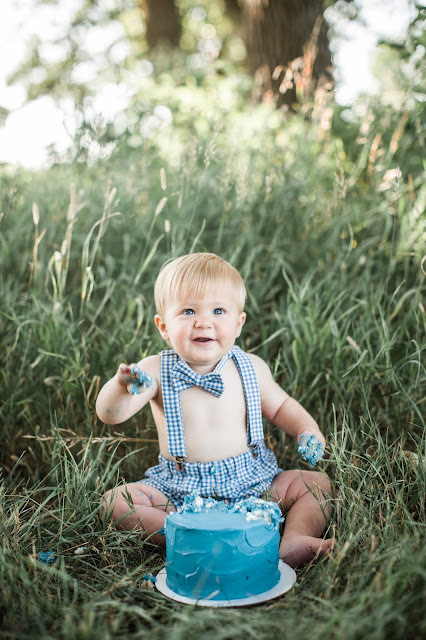 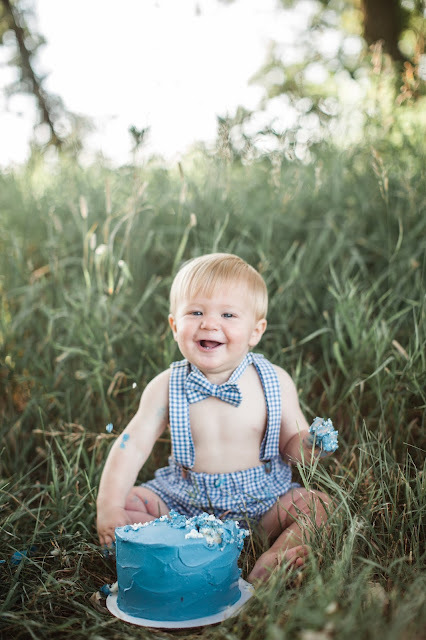 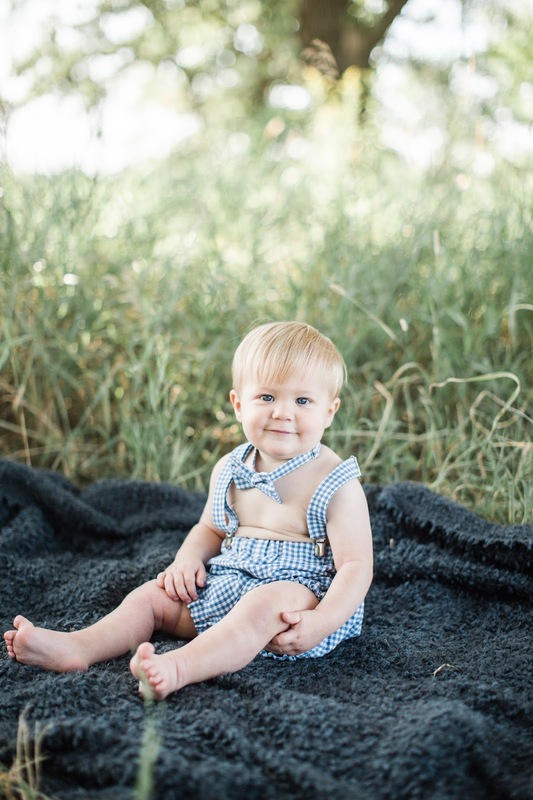 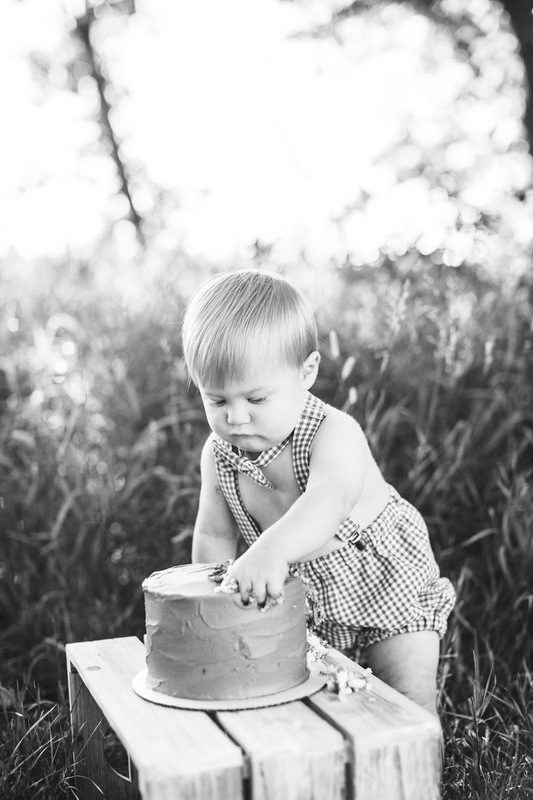 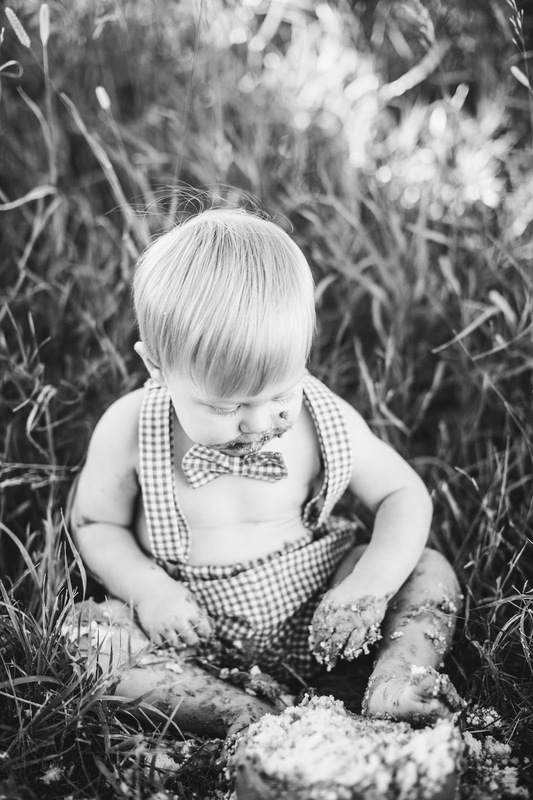 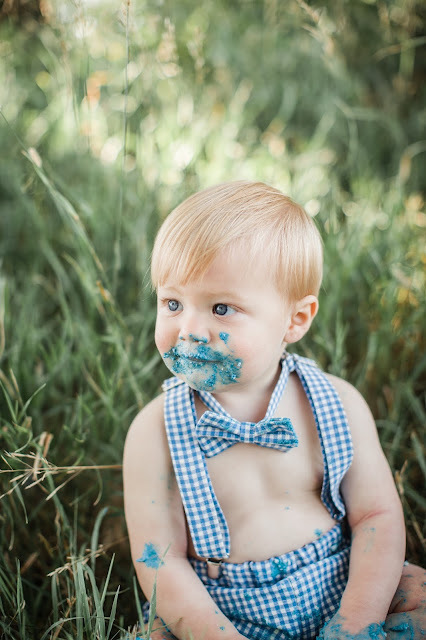 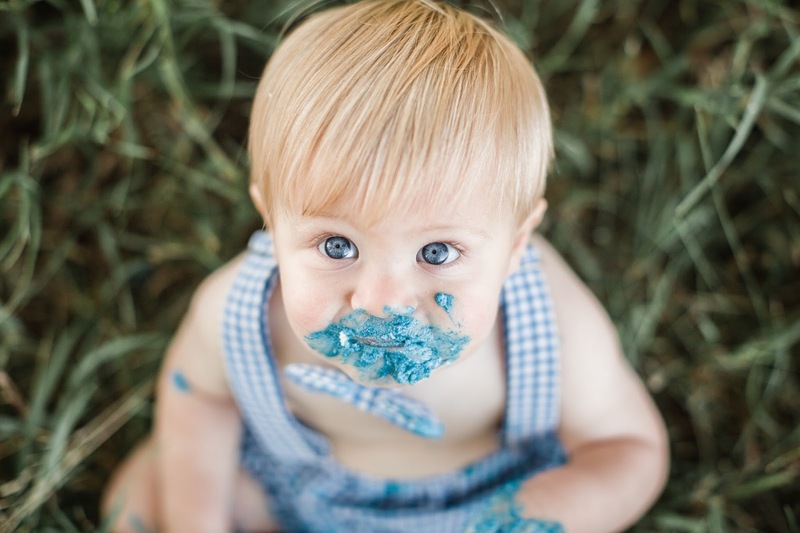 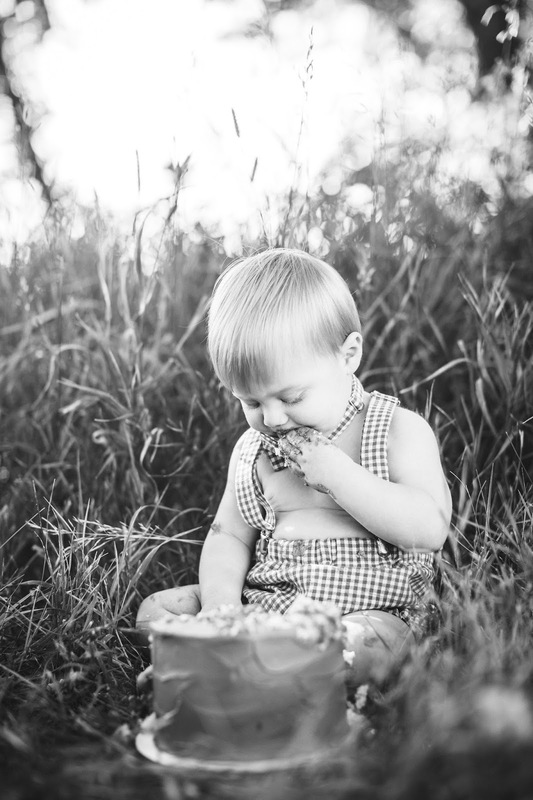 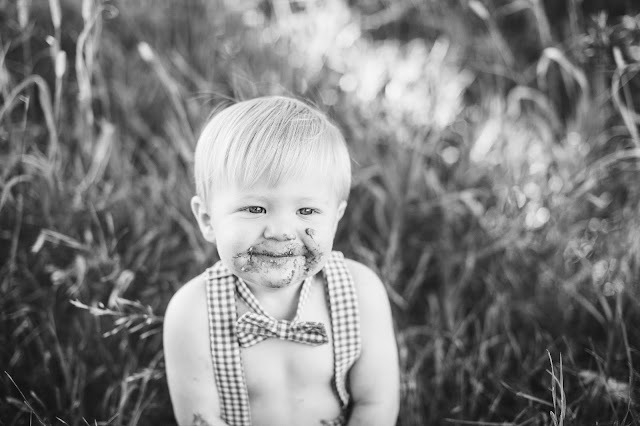 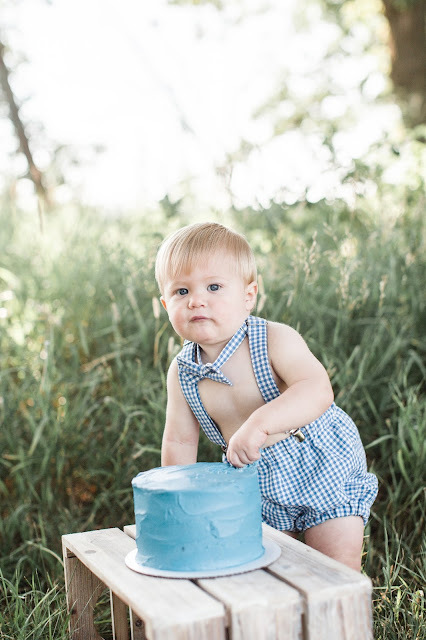 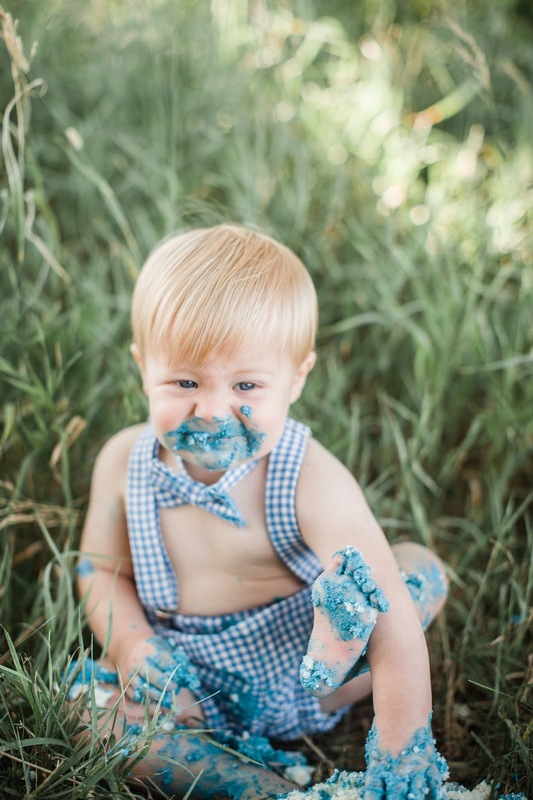 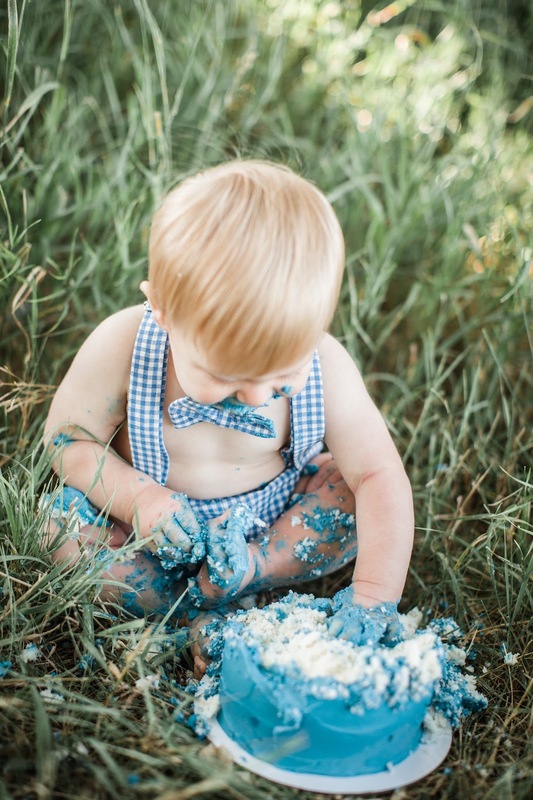 If you remember when C turned one, we did an official cake smash photoshoot as well (here), so I knew ahead of time I wanted to do the same for G. I found G's cake smash outfit on Etsy, and after trying it on him, couldn't wait to get our pictures back. 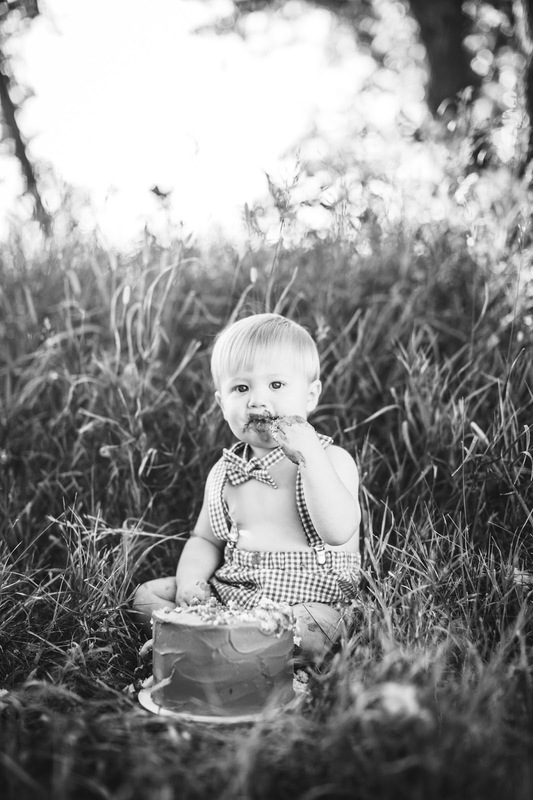 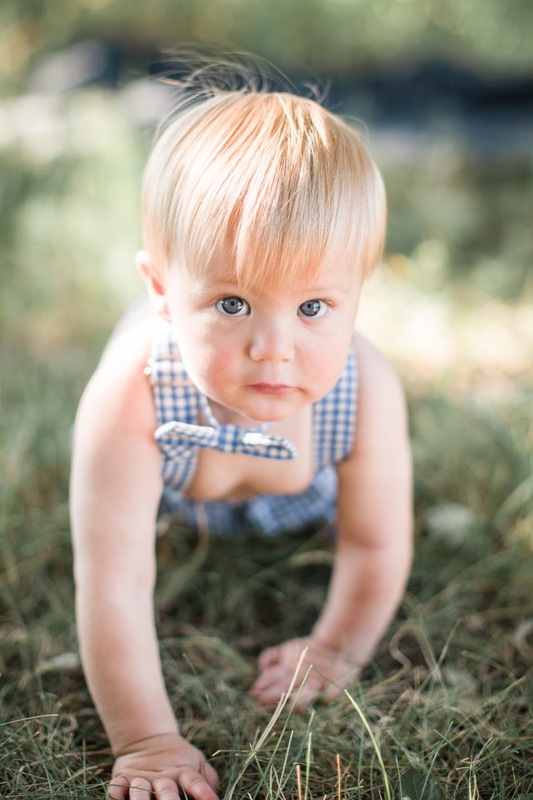 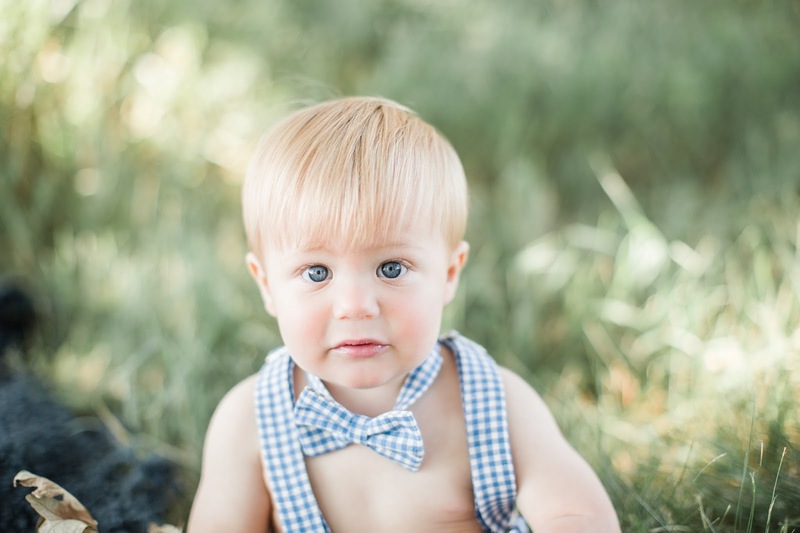 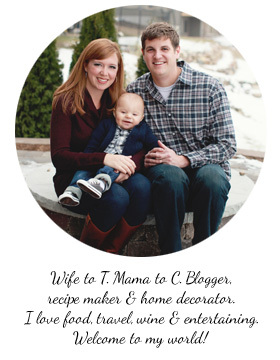 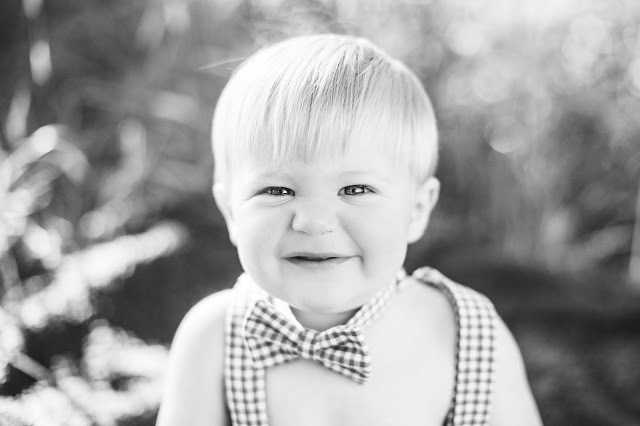 Such a dapper little dude...that bowtie...does it get any more adorable?!? 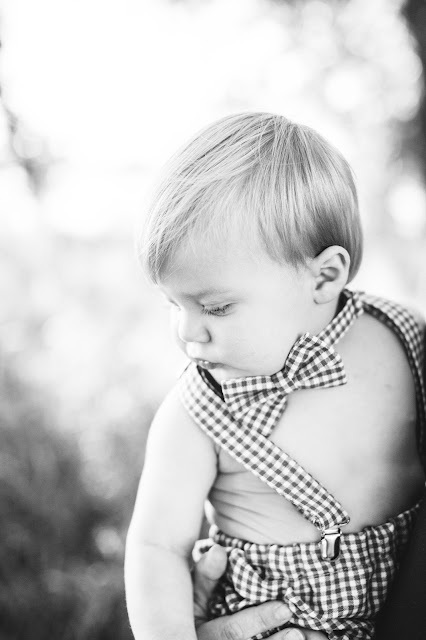 I just love how these pictures turned out, and will cherish them for years to come. 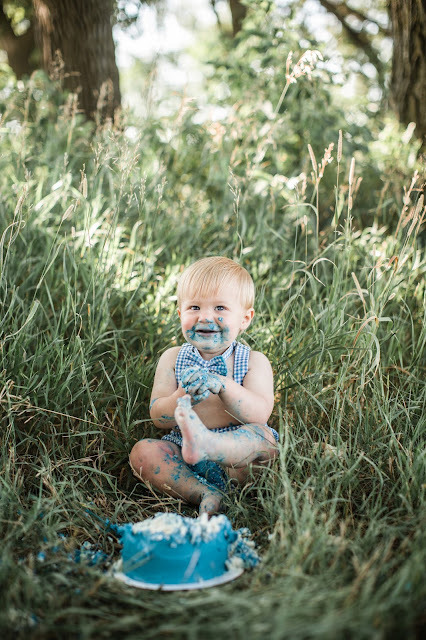 What is this all over my feet?! 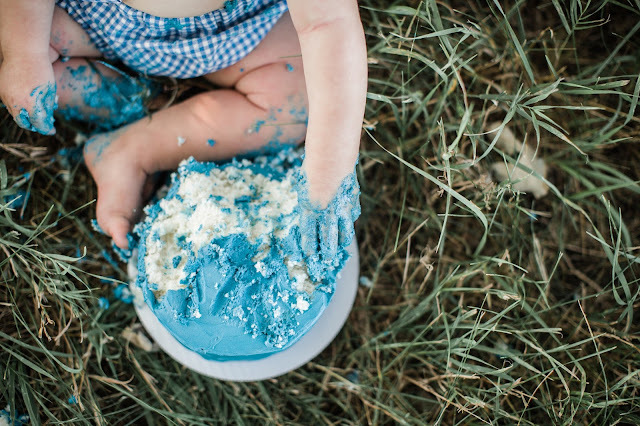 After smashing his way through, and eating approximately half of the cake (notice his mouth covered in frosting), G realized that he also had frosting all over his hands, feet, and legs. 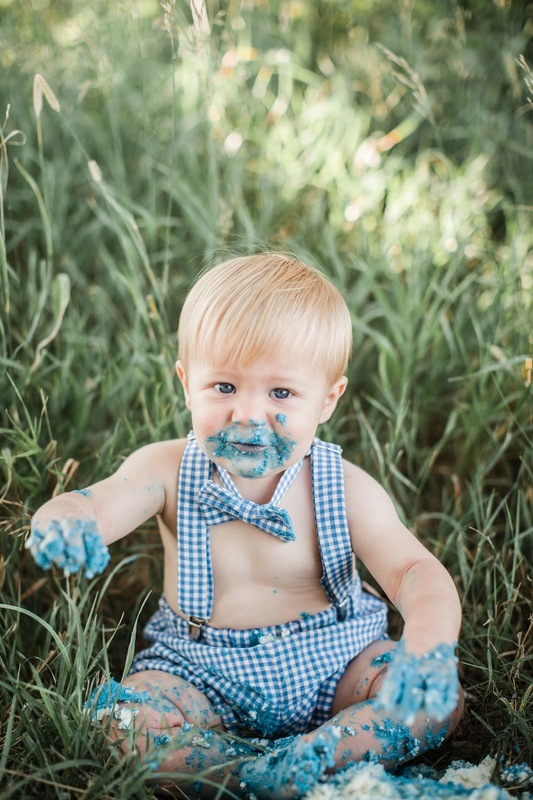 He was NOT a fan, and we went through about half a container of wipes to get him cleaned up enough to put back in the car to head home for a bath.